Well, if we search for ‘Clock Widgets’ on the Google Play Store, we will find tons of apps. 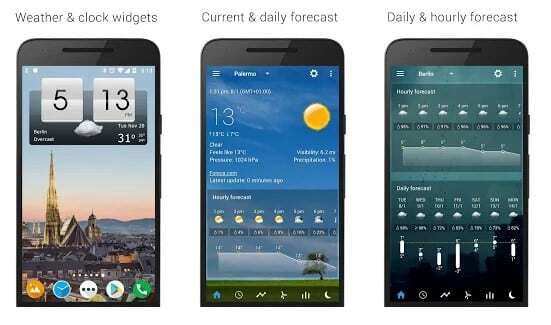 These apps normally add a few good looking widgets on your Android screen. Now you all might be wondering what’s the need of clock widget as Android already got a little time placement on the status bar. Well, people use clock widgets to know time more easily and to enhance the look of the Mobile OS. It’s also worth to note that the excitement over widgets has gone down over the years because now users choose launcher apps to change the look of the operating system. However, if there’s one widget that remains very vital to your device, then it’s undoubtedly the clock. If you are searching for a clock widget app that offers both digital and analog clock, then Go-Clock Widget might be the best pick for you. Guess what? Go Clock Widget is based on Go Launcher EX, that means you can use the app along with the GO Launcher. Another best thing is that Go Clock Widget offers lots of clock widgets and it also got the ability to adjust size and color. If you are searching for a simple looking clock widget for your Android smartphone, then Simple Analog Clock might be the best pick for you. Guess what? Simple Analog Clock is right now the best Android clock widget app available on the Google Play Store. The most notable thing of Simple Analog Clock is its lightweight nature, and it’s well optimized to consume less RAM and battery resources. The clock is basically an Android app which serves as both live wallpaper and widget. After installing the app, users just need to tap and hold on an empty space on home screen and then select “Apps and Widgets”. Now under the Apps & Widgets section, users need to find and tap on the ‘Analog Clock’. If you want to apply clock as live wallpaper, head to the home screen > tap and hold on an empty space > Wallpapers and there select ‘Analog Clock’. Well, if you are looking for an Analog Clock widget for Android that’s compatible with most of the launchers, then Animated Analog Clock Widget might be the best pick for you. Guess what? Animated Analog Clock Widget is an incredibly simple clock widget that offers a wide selection of clocks by downloading plugins. The widget is known for its simple and attractive look. Analog Clock Wallpaper/Widget is one of the first and fully animated Analog Clock Live Wallpaper and Widget collection for Android. Guess what? The Analog Clock Wallpaper/Widget’s mechanism includes moving gears, coils, HD photos, etc. The app can transform your device into an envy-making item. 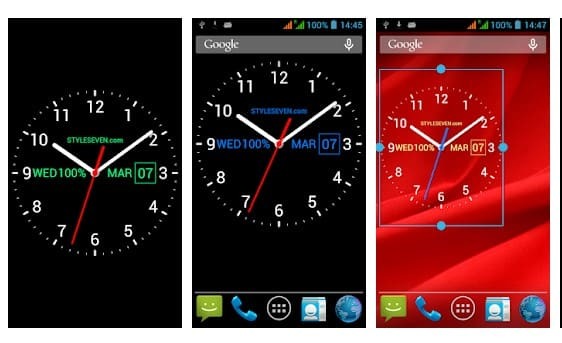 Analog Clock Widget is one of the simple looking clock widgets that you can have on your Android smartphone. Right now, the app doesn’t offer plenty of clock widgets, but the ones that are available really looks good. Analog Clock Widget right now offers only five different clock widgets that all looks good on the home screen. 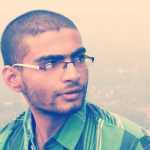 Sense Flip Clock & Weather is a full featured and fully customizable digital clock and weather widget for your Android. Guess what? Sense Flip Clock & Weather right now offers three widget sizes, and the widgets have flip animation. Now just that, but Sense Flip Clock & Weather also offers users few widget skins that can add different color and fonts to the widget. Apart from that, Sense Flip Clock & Weather also shows weather information on your home screen. 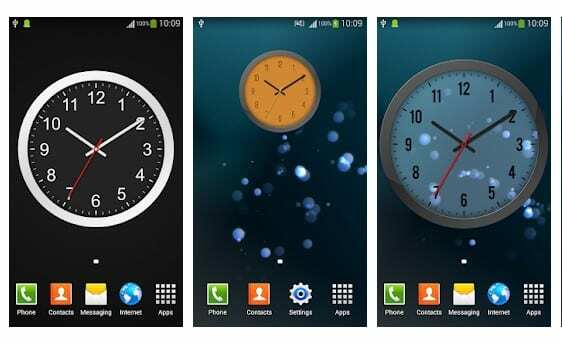 Analog Clock Live Wallpaper-7 is another simple looking clock wallpaper and widget app for your Android smartphone. The great thing about Analog Clock Live Wallpaper-7 is that it displays the month and day of the week as per your set language. Not just that, but Analog Clock Live Wallpaper-7 also offers users two types of appearance – Solid and Gradient. So, Analog Clock Live Wallpaper-7 is another best analog clock widget that you can use right now. So, these are the eight best Analog clock widgets apps that you can use on your Android smartphone. If you know any other such apps, let us know in the comment box below.